Why Would Anyone Want to Win a Whipping Contest? 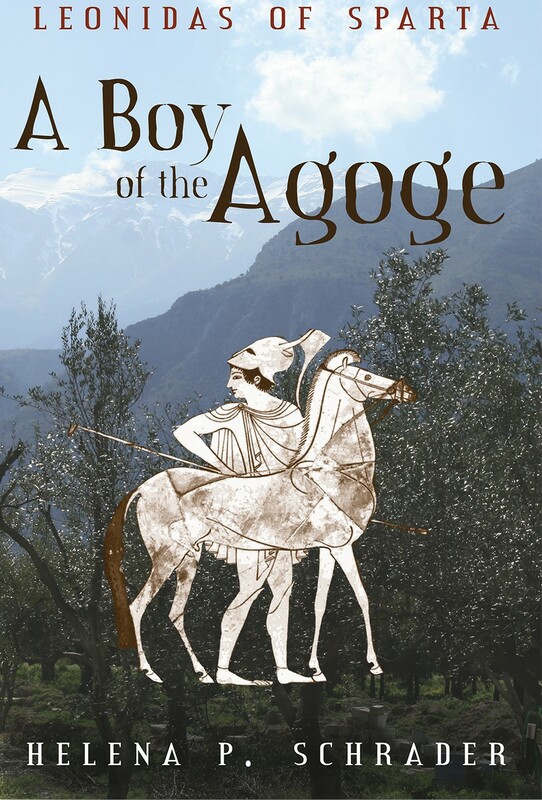 - An Excerpt from "A Boy of the Agoge"
One feature of the agoge that has received inordinate attention since at least Roman times was the fact that Spartan boys were expected to endure floggings. 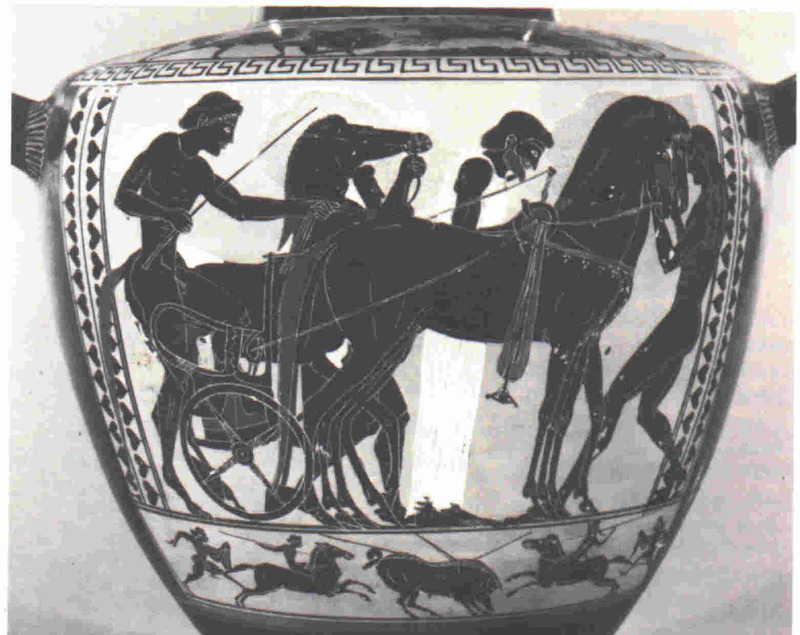 In fact, by Roman times one of Sparta's most sacred festivals had degenerated into a whipping contest. But why would anyone want to win a whipping contest? 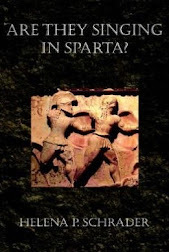 There were almost certainly quite a few Spartan youth who asked themselves that very question: Why would anyone want to win a whipping contest? An Excerpt from "A Boy of the Agoge"
Sixteen was the age at which the boys of the agoge underwent another ritual, the floggings at the Feast of Artemis Orthia. This ancient sanctuary on the banks of the Eurotas had, according to legend, once been the site of an uneven battle between the early Dorians and the native peoples. The sons of Herakles were worshiping at the shrine and had brought offerings to the goddess when they were attacked by the barbarians. Unarmed as they were, they had only been able to defend themselves with the reeds that they tore up from the riverbank. Armed with these canes alone, they had beaten off the attack. To commemorate this distant victory, it had become tradition for a ritualized battle to take place between the 16-year-olds and the 17-year-olds. The 17-year-olds represented Sparta's ancestors by "defending" the temple with canes against an assault by the 16-year-olds. The assault of the 16-year-olds had been transformed at some unknown date in the past into an act of theft, symbolizing the sacrilege of the ancient attackers. The matrons of Sparta made hundreds of small, round cheeses that they laid on the altar of Artemis as an offering. The 16-year-olds, representing the impious barbarians, tried to steal as many of these cheeses from the goddess as possible in the face of the defenders. The 16-year-olds were allowed no weapons and no armor. Naked, they had to run a gauntlet of 17-year-olds armed with the vicious canes used for all Spartan floggings. The youths were safe from blows only while inside the temple or outside the perimeter at the tables where they delivered their cheeses. The eirenes kept count of how many cheeses each member of their particular unit retrieved from the temple, and the honor of the day went to the 16-year-old who managed to bring out the largest number of cheeses. 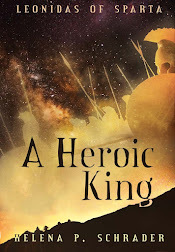 The honor was considered great, and for the rest of his life the winner was referred to as a Victor of Artemis Orthia. 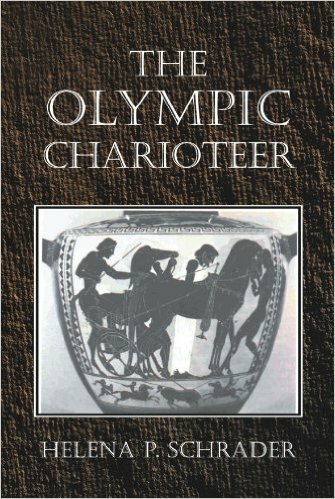 Between Olympiads, the Spartans kept track of the years by the names of the victors at Artemis Orthia. Dorieus, of course, had been the victor in his class eleven years ago. He was inordinately proud of the fact, and frequently referred to it when trying to drum up support for his latest adventure: a colony on Sicily. 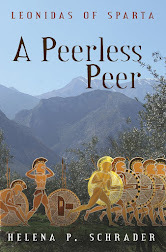 Leonidas knew that many people would expect him or Brotus to follow their brother's example, so it did not surprise him when, on the eve of the festival, Brotus sought Leonidas out. The twins' paths crossed regularly. They were on the drill fields at the same time, and often worked out in the palaestra or visited the baths simultaneously. They sang together in chorus. They even competed against one another in some sports, particularly in ball games or broad-jumping, discus, and archery. For the most part they treated each other as they would any other member of the age-cohort. Only rarely did they talk as brothers -- usually when there was news about Dorieus or Cleomenes. 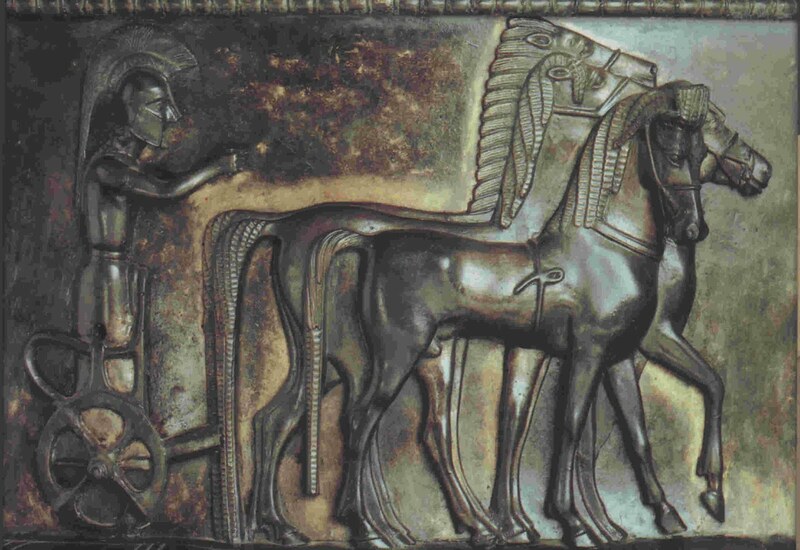 Now, on the eve of Artemis Orthia, Brotus turned up at Leonidas' barracks and insisted the he come outside. Once they were alone in the dark alley, Brotus announced, "Leo, I intend to win the honors tomorrow." "Fine," Leonidas agreed readily. Prokles, Alkander, and he had long ago agreed that three to four cheeses -- which meant running the gauntlet in and out a corresponding number of times -- was enough to satisfy honor. Prokles felt that anyone who would want to get himself "beaten bloody" for the sake of being able to boast about such a ridiculous achievement for the rest of his life was "an idiot." Prokles claimed that his grandfather said the rest of the Greek world laughed at Spartan youth for being so "stupid." Throughout the rest of the world, the whole ritual was seen as an example of the "blind obedience" of Spartan youths. Foreigners snickered at the stupidity of youths willing to endure such a ridiculous amount of abuse just for the entertainment of the whole city, and they made even more unkind comments about what sort of city would find amusement in watching their sons get thrashed by canes -- although the number of foreigners who came to watch the ritual was increasing every year. Leonidas had to admit to himself that he had rather enjoyed watching the spectacle in other years, and he presumed he'd find it entertaining in the future. It wasn't really about watching boys get beaten -- it was a fast-paced, exciting, rough-and-tumble contest where the winner was always one of the underdogs -- one of the naked boys taking the punishment. 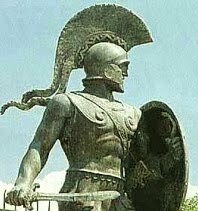 But Prokles had been so adamant about how stupid the whole thing was that Leonidas had not dared voice his own opinion. In Prokles words, "Oxen are more intelligent than to want to win a whipping contest!" The phrase ran in his ears as Brotus made his announcement, and Leonidas decided that Prokles was right after all. Brotus was a bonehead. It's a guy thing. Although we no longer have whipping contest, "Tough Man" contest are alive and well. You are from Venus, Professor, so don't ask us Martians to explain it. It just is what it is.